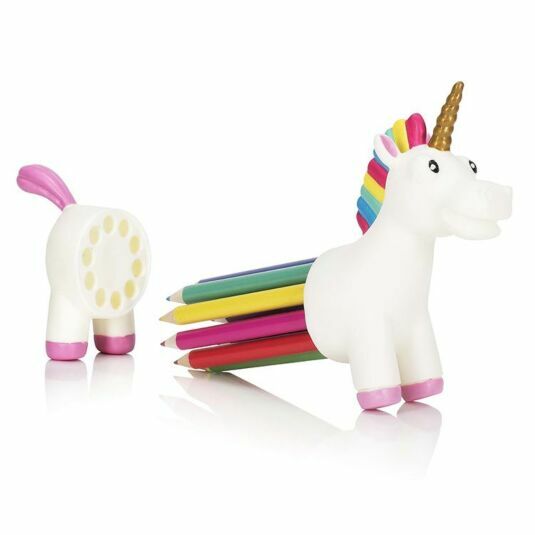 Keep your desk tidy in a magical way with this fun pencil charming holder from NPW. 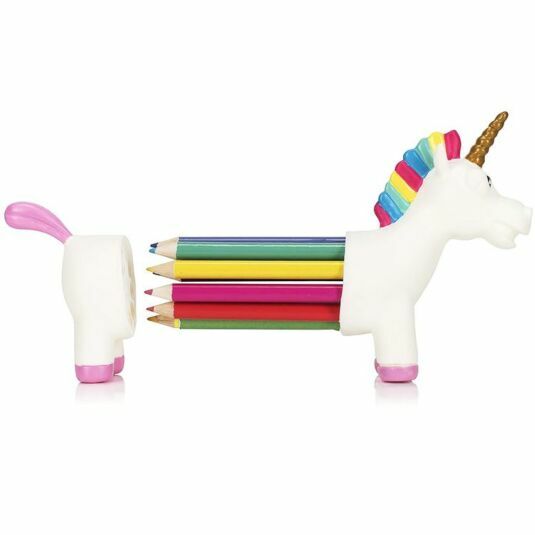 The set comes with ten coloured pencils, which fit inside the white unicorn, who stands proudly on your desk! The Unicorn has a white body, golden horn and coloured mane and tail. 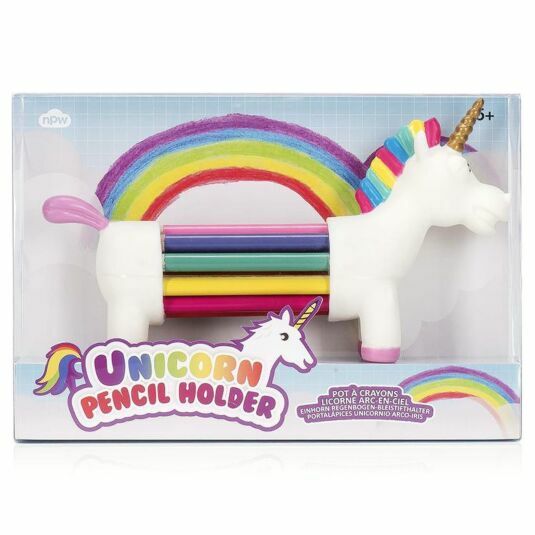 This wonderfully quirky piece of stationery is certain to be appreciated by children and is the perfect stocking filler for Christmas.